One of the key starters on the Baltimore Colts’ glory years roster passed away in Texas last week: defensive back Bobby Boyd. 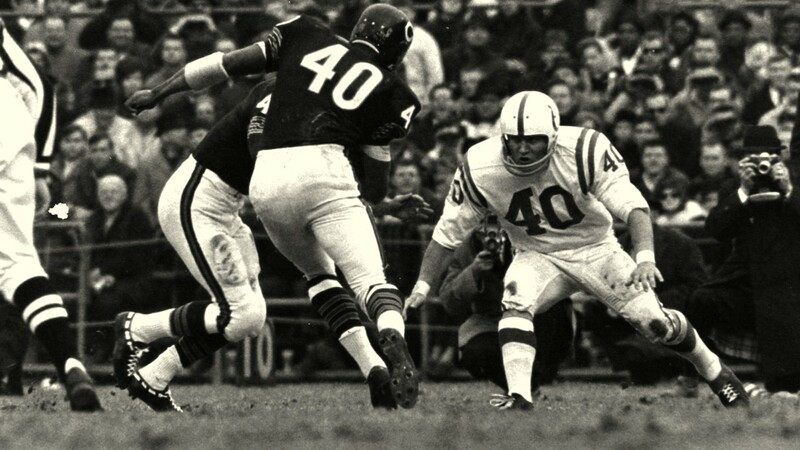 Known for speed and a knack for finding interceptions during his nine seasons playing for the Colts, Boyd never was named to the pro football Hall of Fame – an omission considered by some one of the National Football League’s biggest snubs. Bobby Dean Boyd died at his home in Garland, Texas on August 28 at the age of 79, leaving many old school Colts fans mourning one of the unsung stars of the team’s heyday. Considine was an employee and, eventually, manager of the restaurant Boyd opened in Towson, Bobby Boyd’s Hooligans. Seeing Boyd every day at work, he came to know how the former player could come off as reserved in comparison to the team’s affable, open, nationally-known quarterback, Johnny Unitas. During his playing years from 1960-1968, Boyd had a knack for finding interceptions, netting 57 in total, which ranks 13th all time and second in Baltimore’s history only to the great Ed Reed. But Boyd was the master at building multi-interception seasons, having six or more in seven of the nine seasons he played. Those are the kind of numbers that, combined with his one championship win in 1968 and two Pro Bowl appearances, would have guaranteed him a Hall of Fame spot in today’s football landscape. But the style of play in the league has changed dramatically since Boyd’s era, when interceptions were much more common. But Boyd understood how his career was somewhat shadowed by the legendary cast of characters surrounding him. In addition to Unitas, there was receiver Raymond Berry and the defense’s legendary Gino Marchetti. Reflecting on his career , Boyd once said he wondered if playing a few more seasons would’ve bumped his playing legacy to a higher level. After retiring as a player in 1969, Boyd joined the Colts’ coaching staff for five years. He was on staff when the team won the Super Bowl in 1970. He also spent some time post-football working with Unitas in Baltimore’s restaurant business, before retiring and moving back to Garland in 1986. The father of three, Boyd left eight grandchildren in addition to his sons and his wife, Wanda Boyd.